You are here: Home � All Deals , Outdoors: Sports Travel Cameras � Get a HiPPO GiANT 12-Piece Golf Set for $139.99 - 53% discount and the shipping is free. 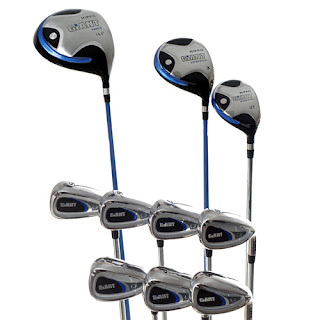 Get a HiPPO GiANT 12-Piece Golf Set for $139.99 - 53% discount and the shipping is free. Buy.com is selling the HiPPO GiANT 12-Piece Golf Set for an extreme discount. Save yourself money on a new golf club set by purchasing off season. Normally this set lists for $299.99, but Buy.com is offering it until November 2nd for the discounted price of $139.99. Also if you are a new customer to Buy.com you'll receive an additional $5 off, making the clubs $134.99. As for the clubs themselves, here is a quick description. The set comes with a Hyper Steel UT hybrid instead of a 3 iron, for more accuracy on the course.